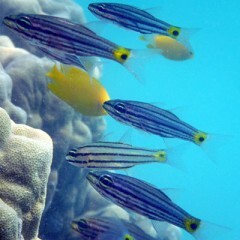 The Philippines, given its archipelagic composition, is rife with marine biodiversity resources. However, scientific knowledge on the various reef ecosystems within the country still has many gaps that need filling and also requires a reliable framework for future continued study. This research endeavor involves a total of twelve (12) study areas across the country, representing various representative sites for marine biodiversity. These are: Palawan, Romblon, Aurora, Masbate, Cagayan, Ilocos, Mindoro, Samar/Leyte, Panay, Davao, Tawi-tawi, and Cagayan de Oro. The comprehensive study adapts a unified system called the Underwater Reef Biodiversity Surveys (URBS) as a means to collect data relevant for properly describing and understanding the current status of reef ecosystems in the Philippines. The findings are intended to provide local communities and leaders with factual evidence on the state of marine biodiversity resources that should guide them in making informed management decisions involving conservation and sustainable development actions for the benefit of their reefs. For this study, the researchers have partnered with the respective local government units – particularly Municipal Agriculture Officers (MAO) and staff, Municipal Environment Officers (MENRO), Municipal Planning and Development Chairmen (MPDC), barangay officials, and the municipal mayors – of the identified research sites. In some survey areas such as Palawan, Mindoro, and Cagayan, the researchers also collaborated with state universities. In order to achieve the objectives of the study, a total of 56 individuals so far, including 46 local partners, have been trained to conduct the reef surveys. As of June 2013, this research effort has completed reef surveys in eight (8) out of the 12 target areas, namely Palawan, Romblon, Aurora, Masbate, Cagayan, Ilocos, Mindoro, and Samar/Leyte. 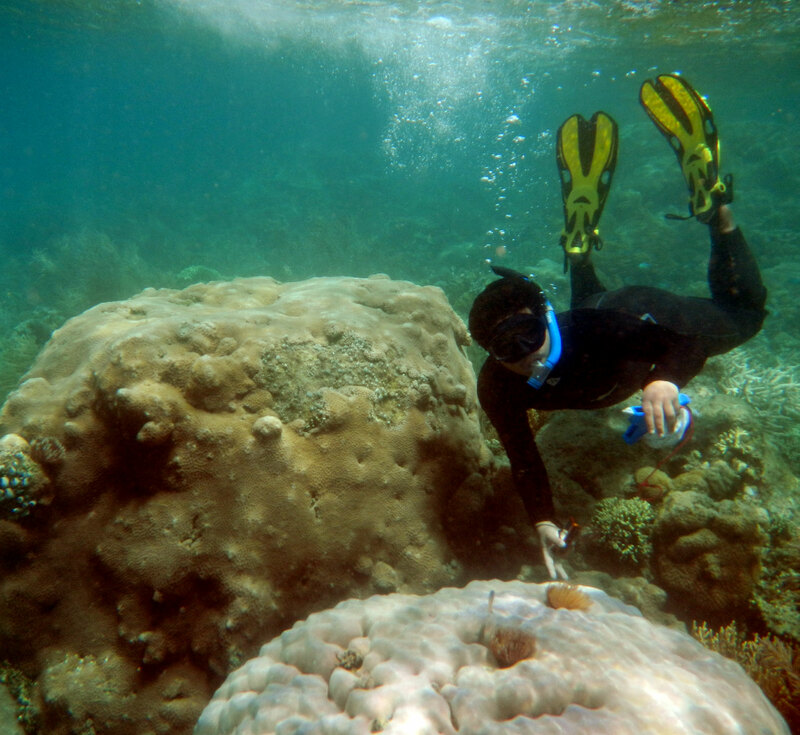 Among the earliest findings (March 2013) include observations of vast coral rubble in Cabadiangan reef in Laoang, Samar, which was attributed to the effects of dynamite fishing. At the same time, there was a notable absence of big fish species, with observed inhabitants only being those that grow to about 30cm long. A more thriving ecosystem was observed in barangay Barobaybay in the town of Lavesares. In both reefs, however, the presence of coral-feeding crown of thorns starfish gave the researchers reason to be concerned. One of their initial recommendations to the LGUs of these Samar towns thus was to periodically remove these from the reefs concerned. In line with the project, the team has also already produced and submitted a scientific paper to the Marine Policy Journal. The paper, which is currently under review, examines the possibility of broader marine biogeographic patterns that may render municipality-scale management efforts inadequate. The available data disproves the hypothesis that reef similarities occur only in small-scale geographic areas, but suggests that certain species that travel across territories may indeed require collaborative special management that goes beyond the municipality-oriented approach. 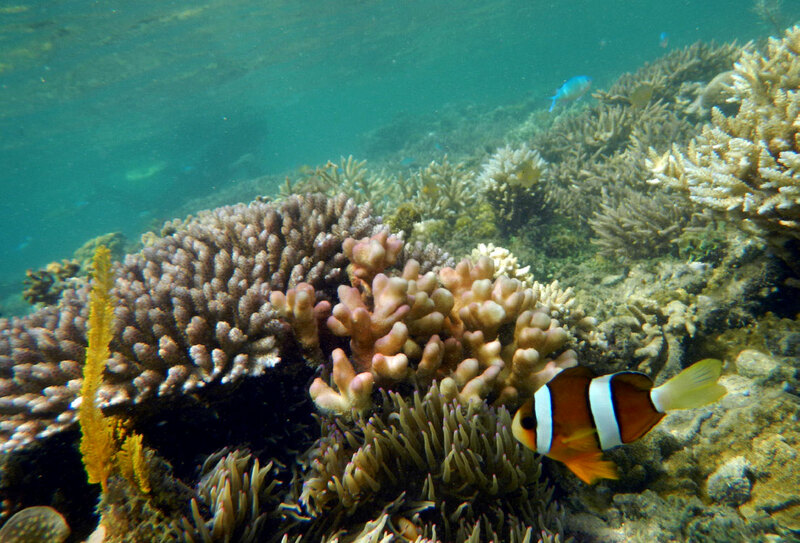 Through the continuation of this research effort, the researchers are looking into shedding more light on the reef biodiversity picture, such as whether some reefs in the Philippines are more species-diverse than others. They also aim to present complete quantitative data describing the state of degradation and depletion of Philippine reefs.